Until the headline grabbing madness that is UFC 223, by far the largest story in the wrestling and MMA worlds was the impending in-ring debut of former UFC Women’s Bantamweight Champion ‘Rowdy’ Ronda Rousey at Wrestlemania 34. Whilst the WWE and wider pop culture community are hailing the event as a landmark sports/entertainment crossover, it is this ‘writer’s’ opinion that the arrangement is a lose-lose situation which will expose each party’s lack of relevance and tarnish the legacy of both for years to come. But first, context. Even if you have no interest in scantily clad athletes in a cage punching one another in the face, you will doubtless have heard of Ronda Rousey. Rousey burst onto the scene in 2012 and quickly made a name for herself with a string of vicious first round victories, winning her first six fights in a combined 18 mins. This raw brutality combined with her attractiveness and charisma made her an instant pop-culture icon, transcending the once niche sport to appear on the late-night TV talk show circuit, as well as roles in Entourage, The Expendables and The Fast and The Furious. However, hubris was ultimately Rousey’s undoing. Her trademark arrogance and aggression proved to be her downfall as fans revolted against her treatment of gracious and respectful Holly Holm, who then proceeded to obliterate Rousey’s title reign with a devastating head-kick in front of a sold-out Melbourne Cricket Ground. Rousey failed to rally from this defeat, taking a year off before her next fight, in which she was unceremoniously knocked-out by current champion Amanda Nunes in just 48 seconds. The hype train had run out of steam. Whilst legitimate competition was over for Rousey, wrestling had always been a possibility. A noted fan, Rousey has always openly shared her admiration for the sport, even adopting her nickname from WWE Hall of Famer ‘Rowdy’ Roddy Piper. 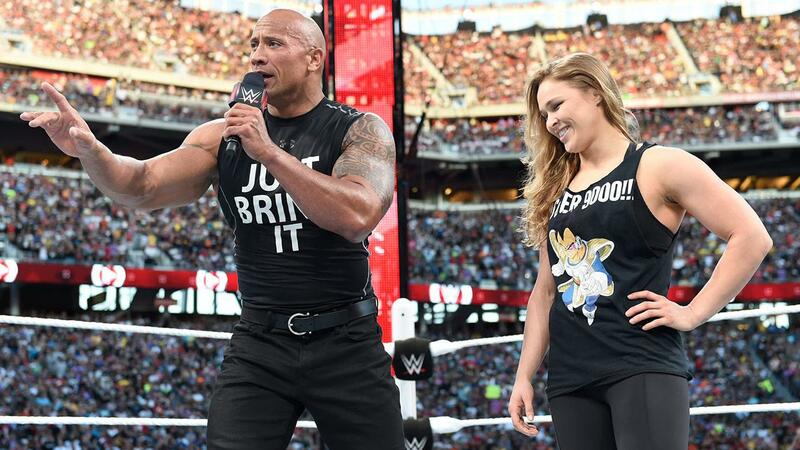 This involvement came to a head at Wrestlemania 31 in which Rousey, at the peak of her popularity, emerged from the crowd to join The Rock in a face-off with heirs to the company, HHH and Stephanie McMahon. It is that brief segment which forms the story-line impetus for Rousey’s current run in the WWE. 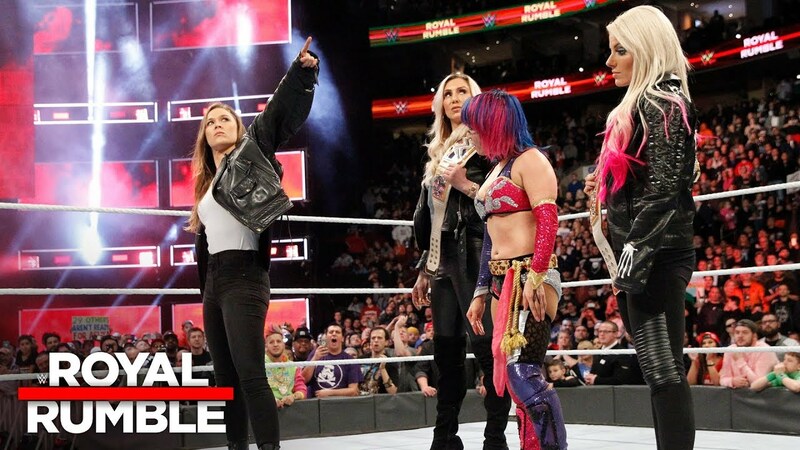 Following the inaugural Women’s Royal Rumble, Rousey emerged to a rabid crowd to confront the current WWE Women’s Champions and…awkwardly point at the Wrestlemania sign for what seemed like an eternity. Hardly an auspicious start for one of the largest stars the company have secured in years. What started awkwardly continued to go downhill. Whilst Rousey may have charisma and athleticism, it is clear that in-ring microphone work is not her forte, appearing wooden, unconfident and scripted. Far from the landmark title match many were expecting, Rousey will instead be partnering with WWE Hall of Famer Kurt Angle to take on HHH and Staphanie McMahon in a match perplexingly billed as a grudge-match over their minor confrontation four years ago. Now whilst Rousey’s tenure with the company may be off to a less than convincing start, there are evident reasons for her signing. First of all, Rousey’s character as a strong female role model will be welcomed by a company seeking to reinvent it’s women’s division after years of prioritising titillation over talent. Secondly, Rousey’s athleticism and accolades will stand her in good stead in the modern WWE. 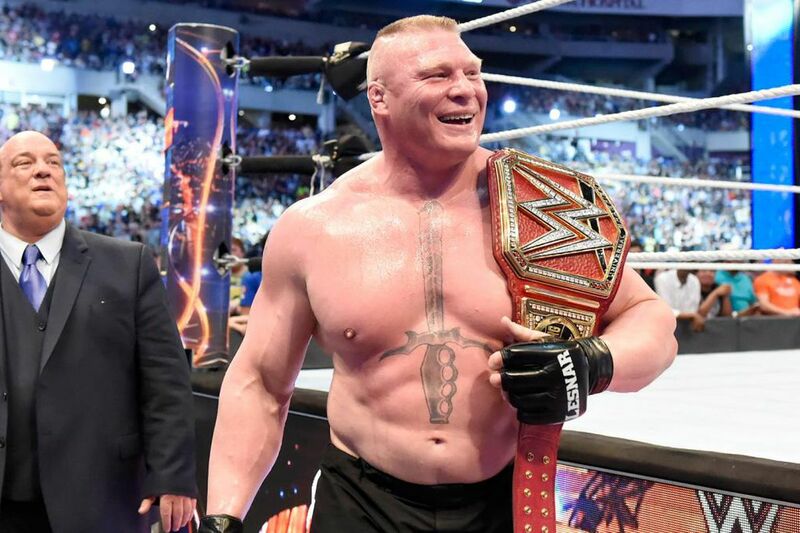 The prior accomplishments of performers like Brock Lesnar and Ken Shamrock, both former UFC Champions, served as the bedrock of their characters and allowed them to cement immediate credibility with fans in an industry where willing suspension of disbelief is everything. However, whilst these may be true, Rousey’s mere presence in a WWE ring presents an uncomfortable dilemma for the company. Conversely, should Rousey be defeated by any of the WWE’s home grown talents then it will serve a severe blow to her character. As shown by her career in the octagon, Rousey has not proven to be an individual who can rally from defeat or play the underdog in a convincing manner. Her character, and the reputation for which she was signed, is prefaced on her being the ultimate female fighter, should she lose, why should we care? Finally, the elephant in the room. Rousey is no longer as relevant as she once was. The Hollywood interest has all but evaporated and she is dangerously close to being considered a nostalgia act. Similarly, it continues a tradition of WWE being comically behind the cutting-edge of pop culture. The company famously passed on the opportunity to have Metallica at the height of their fame perform at Wrestlemania. Within these heapings of cynicism, however, remains hope. Rousey has an intensity and charisma that few can match and, given good enough writing, the WWE can still tell truly evocative stories. Rousey’s tenure in wrestling certainly has the potential to be something special but only time will tell if she has enough stardust left to make it work.